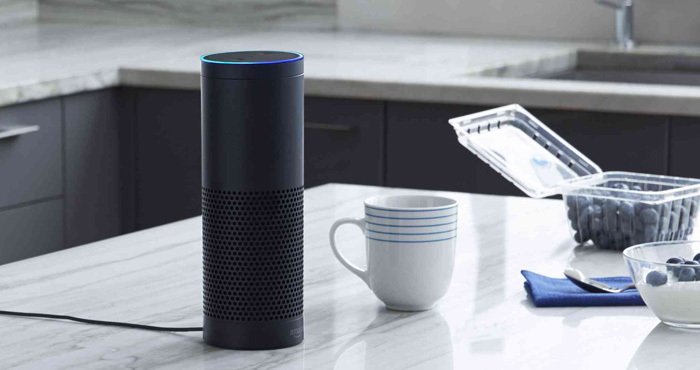 The convenience of Alexa is that you can ask her to perform tasks by prefacing your request with "Alexa ..." Your Alexa-enabled device is always listening for the key word Alexa. When Alexa hears her name, she sends a recording of your request to Amazon's servers to determine what you're asking. When she gets the answer, she delivers the appropriate response, usually with a second or two. 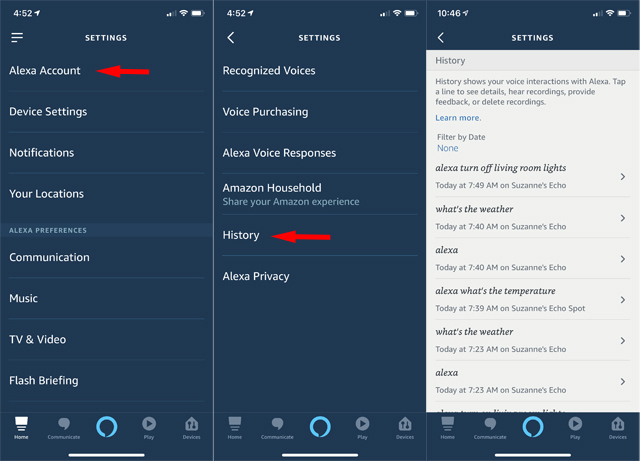 In order to consistently answer your requests, your Alexa-enabled device records constantly but only saves and sends the contents of your request (plus a few seconds on each side). Amazon keeps these recordings forever or until you choose to delete them. "When you use an Alexa device, we keep the voice recordings associated with your account to improve the accuracy of the results provided to you and to improve our services," notes Amazon. "If you delete these recordings, it may degrade your experience using the voice features." Select a recording from the list. Select the Play icon if you want to listen to the recording. Select Delete to delete a specific recording. Go to Manage Your Content and Devices, then select the Your Devices tab. Select your Alexa device from those that are registered to your Amazon account. There's no automated way to delete recordings, so you'll have to remember to delete them manually on a regular basis. If you're concerned about Amazon employees potentially listening to your recordings, you can opt out of the Alexa training program. 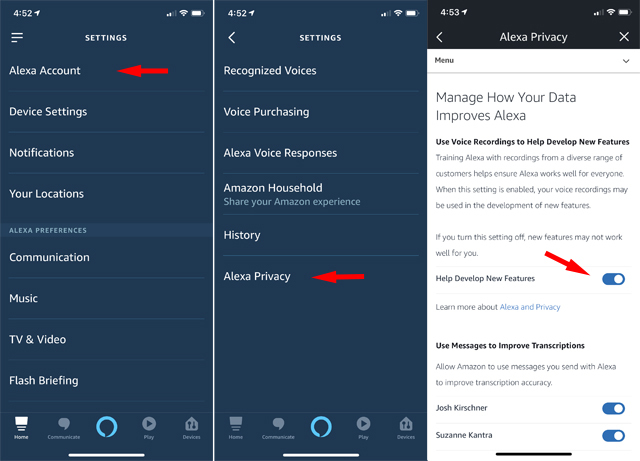 If you're concerned about Alexa always listening, you can always turn off the microphone. Of course, turning off the mic makes Alexa a lot less convenient, so you'll have to weigh your privacy against the convenience of Alexa.